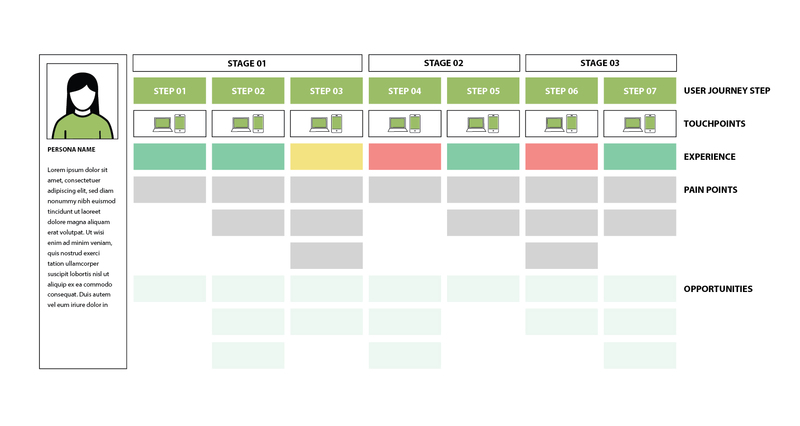 User Journey Mapping – a UX tool that saves time, budget and nerves. At Kiwee we believe that user experience design is a superpower. We want to share with you one of the UX techniques we use on literally every project of ours. The technique is called User Journey Mapping. Working on a product or a service that would satisfy the user is not easy. Running long-term projects is challenging in terms of management, technical aspect, communication, budget allocation etc. Dealing with hundreds of pages of documentation, deadlines and requirements may be overwhelming. If you know this feeling, then the User Journey Mapping technique is what you need. An example of a User Journey Map from Lego. What is a User Journey Mapping? 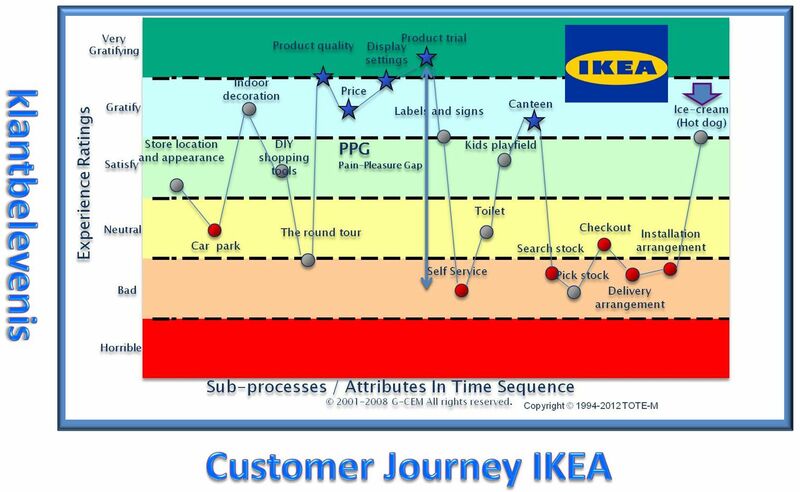 A journey map is a dynamic, visual interpretation of the relation between the user and the product according to time and space (virtual or real). May sound difficult but in simple words - it's a map that shows how a user uses your product. A user gains smooth experience, intuitive solutions and a well-designed product that meets his or her needs. A client has an overview of the entire process from the very beginning, which allows to plan works, evaluate costs and allocate resources on a project. A team has clear priorities set and the core of the backlog is visible on the map. For simplicity purposes, in this article I’ll use an example of an online shoe store. Let it be an online shoe store, for young adults and middle-aged people. Scoping the problem. Before you even start you need to know what you want to achieve. Let say, our business has just expanded and we want to switch from a template to a custom made layout of the store. Understanding your users. It’s crucial to be using valid information in your map. Prepare personas to track their journey. Use feedback you get from your customers, data from analytics, surveys and tests. Make sure the data you’ve collected is accurate and relevant. For instance, our persona will be Beth - she is 29, she lives in Sevilla, she has a partner and she co-owns a small cafeteria. She likes our store because of the products, but she often has troubles with using loyalty coupons during the checkout and it makes her lose trust in our reliability. Establishing context, motivation, mental model and pain points for all the user personas. This basically means that you need to create a realistic situation that may happen to a user of your product to check if it would meet their requirements in every situation. Beth is very stressed because her wedding shoes got destroyed (as her child drew with crayons over these shoes) and she is looking for a replacement. She has a tight budget, she has to do it while caring for her baby and making final preparations for the big day. She will browse for the shoes on a mobile phone and what she cares about is quick delivery. To input the data. Now it’s time to add all the information you have step by step. Beth needs to take some actions to buy the shoes. They all need to be marked. Once you have the core (user journey) - you add your notes like: consumer satisfaction, technical issues, touchpoints with the customer service etc. It’s up to you what parameters you want to track and measure. In this step you should focus on your previous establishment and your goals. If you come across a topic which is important, but not relevant, create a parking lot board for the ideas. Beth sees the category page and she has troubles finding filters. Her stress level goes up, her satisfaction goes down. Heatmap shows that users are looking for the filters below the content and in the menu. The technical issue here is that our current template has filters hidden under the icon and a business issue is the high bounce-off rate on mobile on the category page. Planning works. You create a list of feasible to implement tasks and "slice" the map into iterations. You can decide on the scope for the MVP (minimum viable product) and get the overview of the project. By mapping more than one persona's journey you would see which issues are urgent. You may find an unclear situation when one solution may be beneficial for some groups and annoying for other. Only if you take into account the needs of everyone you will see the big picture. 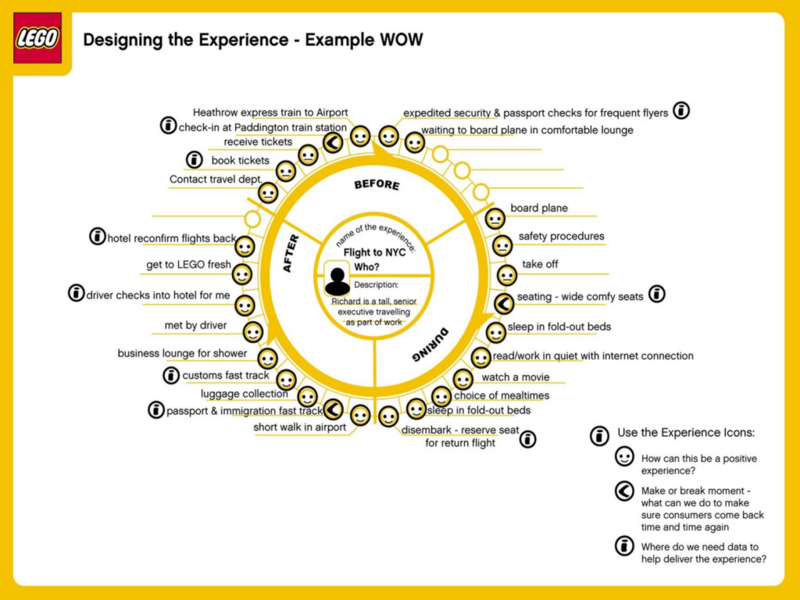 User Journey Map scheme example. User Journey Mapping is a collaborative and a holistic technique. It requires teamwork, common understanding and interconnected teams. To make sure the map is comprehensive, everyone involved needs to contribute to cover all values and perspectives. User's perspective - we work in chunks but the user devours our work in one big bite. For our user, the experience is a process, steps blend into one feeling of satisfaction or disappointment. The map gives us not only insights about the specific features or a moment in time but it gives us an overall feel and allows all the team members to understand the process and find a common goal. Priorities - seeing the entire process allows to scope the MVP. The map is a living document and it can grow as the project grows and can help create a proper work structure and plan future releases. Mutual agreement - all departments related to the project should be engaged in creating a map. This means they will have to make sure they use common language and establishing boundaries, requirements, and priorities understandable for everyone. Discussion between developers, product owners, graphic designers and others may be priceless and save a lot of time and money (that could otherwise be spent on wrong decisions), on top of that it improves communication within the team. Spotting early red flags - Visualisation of the user journey may helps spot many issues ahead of time and prevent problems related to usability, technics, budget etc. Reducing the cost - well planned and distributed tasks increase the efficiency. User Journey Map helps avoid misunderstandings that lead to poor business decisions. Building the team - seeing all the work ahead, the team is able to choose specialists needed for the project. It helps estimate the cost of works. I see therefore I understand - when the early-stage product is represented by an excel spreadsheet, pages of requirements or tables and charts, it's hard to grasp it and understand. As human beings, it's easier for us to see the process rather than to read it. Being able to see the entire journey makes work much easier for most of the specialists. No matter if you are in the beginning and you're planning to have an MVP ready or you're trying to improve an existing product - the User Journey Mapping technique is there for you to be applied. At Kiwee we know how a good map creates a strong, visually translated base for the product that is not only user-oriented, but also reflects the realities of a given company and meets all the requirements. We wholeheartedly encourage you to try it out! Graphic design is my lifetime love. Children illustration and printmaking are my passion, both are limitless when it comes to imagination.